© The Associated Press Suspect Beate Zschaepe has been on trial since May 2013. The main defendant in a high-profile neo-Nazi murder trial used her closing statement Tuesday to appeal to judges not to hold her responsible for a string of killings that shocked Germany and prompted a debate about institutional racism in the country's police and security services. [post_ads]In a brief personal statement at the end of a five-year trial, Beate Zschaepe distanced herself from the killings committed by the men with whom she was on the run for more than a decade. 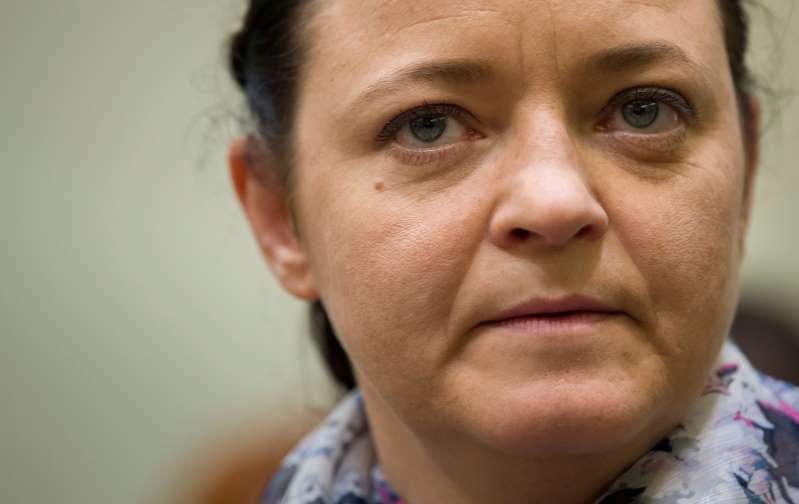 Prosecutors accuse her of being part of a far-right cell calling itself the National Socialist Underground, or NSU, that allegedly targeted migrants, killing 10 people between 2000 and 2007. "Please do not convict me for something that I neither wanted nor did," Zschaepe told the Munich state court, saying she didn't know why her alleged co-conspirators — Uwe Mundlos and Uwe Boehnhardt — chose their targets. Zschaepe also said she no longer believes the far-right views she once held and expressed regret toward the victims' families for their losses. Prosecutors and lawyers for the victims' families have challenged Zschaepe's claim that she was ignorant of the men's actions despite living in hiding with them for almost 14 years. Federal prosecutor Herbert Diemer described Zschaepe last year as an "ice-cold, calculating person" who shared Mundlos and Boehnhardt's far-right ideology and desire to terrorize migrants, saying the 43-year-old was equally responsible for the killings even though she never pulled the trigger. Despite numerous leads and informants close to the group, German police failed to arrest the NSU and discounted a far-right motive in the killing of eight Turks, a Greek and a policewoman between 2000 and 2007. Instead, authorities suspected the victims with migrant backgrounds of being involved with organized crime groups and established a special investigation team dubbed "Bosporus." German media, likewise, referred to them as the "Doner Murders" — after the popular Turkish sandwich — until the NSU's involvement in the killings came to light when Mundlos and Boehnhardt were found dead in an apparent murder-suicide in November 2011. The shredding of evidence relating to the case days later prompted the resignation of Germany's domestic intelligence chief and accusations of an official cover-up from victims' families. Several parliamentary investigations into the failings by police and security services are ongoing.